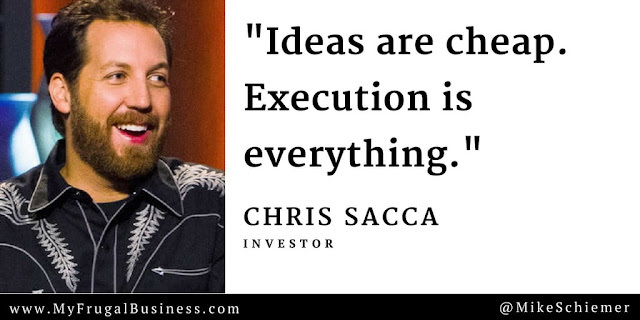 Chris Sacca is an incredibly successful venture capitalist who has made some incredibly profitable investments in tech companies like Uber, Twitter, Instagram, Kickstarter, and countless others. Chris Sacca been a guest investor several times on the show Shark Tank and is a major player overall in the tech and VC scene. 4) "You have to ask yourself: Do I have what it takes?" 7) "What happens next is up to you." Thanks for the motivational business quotes! Remember to follow Chris Sacca's advice and invest in yourself along with your future! I hope you enjoyed this inspirational quote compilation from venture capitalist and entrepreneur Chris Sacca. Interested in more motivational quotes from business experts?